When she was still a student, Chen Pu already concerned herself with the conceptualization and design of typefaces. In addition to typography, her areas of concentration are information graphics and illustration. She gained valuable practical experience from the time she spent with the Hamburg design firm Mutter, the graphics department of Gruner+Jahr, and the publishing company “GEO” in Hamburg. 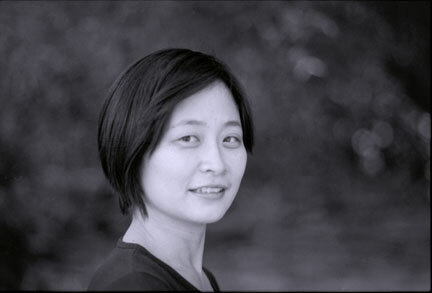 In order to maintain the connection to her homeland of China, she is active as a Docent for Visual Communications at the Shanghai Institute of Technology’s School of Art and Design. Chen Pu was born in Shanghai in the year 1973. Since the year 2000 she has lived primarily in Germany. Here, she also obtained her diploma as a designer with a concentration in Communications Design from the Institute for Applied Science in Hamburg. (Hochschule für Angewandte Wissenschaften Hamburg). 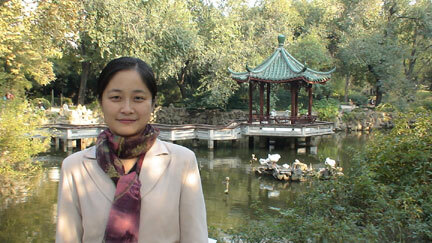 During this time she worked on the typographic project “华夏古韵” (A time journey through ancient China). The goal of this project was to develop typefaces which, from their initial conceptualization, would have a Latin flair, but, at the same time, maintain the graphic elements and characteristics of Chinese type and calligraphy. In the course of the project, three typefaces emerged whose graphics clearly have Chinese roots but are perfectly legible for European readers. The adoption of Chinese elements of typography and calligraphy appear exotic and create a tension to the European eye, and are, at the same time, appealing and pleasant. This project received the “Red Dot” International Award for Communications Design in 2006. Additionally, Chen Pu received her Master of Fine Arts Degree with a concentration in media design from the Bauhaus University in Weimar. Before that, she successfully completed her studies in the area of Interior design in Shanghai.